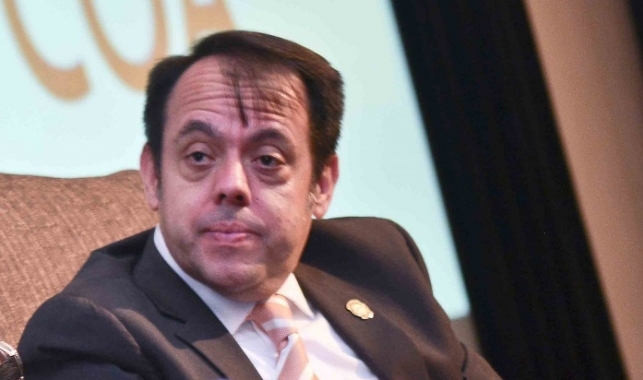 Alexander Mora, Costa Rica’s Minister of Foreign Trade, spoke with Shine today on e-commerce opportunities within China and the Belt and Road Initiative. Costa Rica aims to strengthen e-commerce links with China and participate in the Belt and Road Initiative to enhance bilateral trade and investment, the country’s trade minister said today. Alexander Mora, Costa Rica’s Minister of Foreign Trade, said he will talk with Chinese trade and customs authorities, e-commerce companies, and attend business events to boost economic links between Costa Rica and China during his three-day visit. He will propose to the Chinese government the exploration of infrastructure construction opportunities in the country and also consider Costa Rica as a hub for the Belt and Road Initiative in the Caribbean region. The minister said Costa Rica is a very active proponent in the World Trade Organization’s use of e-commerce as an instrument for growing trade, and he is keen to work with Chinese trade and customs authorities to streamline policies to boost cross-border e-commerce. The country welcomes Chinese e-commerce companies to set up logistics facilities and conduct trade. Agriculture and industrial products, including electric, electronic and medical devices, make up more than half of Costa Rica’s total export. He said the development of e-commerce requires huge investment in infrastructure, which is in line with the essence of the Belt and Road Initiative. The country is building a new port on the Caribbean Sea coast that would cost US$1.4 billion, Mora added. Costa Rica and China established diplomatic relations in 2007 and inked a free trade agreement seven years ago. The two countries also signed a Bilateral Investment Agreement three years ago that offered Chinese companies free access investing in Costa Rica. Official data showed Costa Rica’s exports to China jumped three times over the past three years.